Nearly one fifth of adults in the UK suffer from anxiety or depression, the most common forms of mental disorder, according to the official survey of health and well being commissioned by The Office of National Statistics (ONS). A higher proportion of women than men reported that they suffered from the conditions, men reporting the symptoms stood at 16% and women at 21% with the over all percentage of 19%. Most prominent were women in the early to mid 50s. Other notable differences were found between those questioned. People in the following groups reported higher levels of mild to moderate mental disorder: those out of work 23%, those caring for others 25% and divorced or separated 27%. In contrast, people in work returned 15%, those in stable relationships 16%, not caring for others 17%, showed lower levels of concern. The study was part of the ONS Measuring Wellbeing Programme surveying people in the 16 plus age range in 40,000 households during 2010 and 2011. The figures were compiled using the General Health Questionnaire that asked 12 questions about general wellbeing including confidence, stress, health levels, anxiety and depression. The types of mental illnesses recorded did not include severe mental health issues. Overall the research concluded that 66% of the UK population were satisfied with their level of health, whereas those in their later years reported lower levels at 53%. Hello and welcome to first free edition of Well Being News. I am really excited to deliver this to you. This issue is dedicated to the issues surrounding peace of mind and general well being. A recent survey measuring national Wellbeing and Health found that 38% of those questioned were relatively unhappy with their health and also showed signs of Anxiety and Depression. Why is it that as the whole population is now living longer is better fed and general better off should 38% of us be uneasy with their life and health? This issue will explore some of the issues and ways to help improve general wellbeing. Read on to find out how, NLP, CBT, improving sleep patterns and stress reduction can help to lift your mood and reduce anxiety. 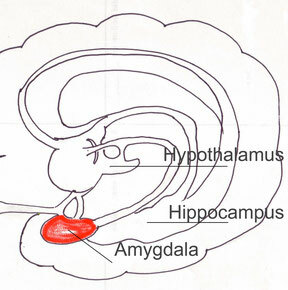 Learn how a tiny part of your brain, the amygdala, controls the emotions that run Anxiety, the so called nerves, thataffect many aspects of our lives ranging from giving a speech at your daughters wedding to sitting an exam or driving test. When you appreciate how the Fight FlightResponse governs the fear of snakes andother phobic reactions then you begin tolearn how to overcome these reactions and understand what to do about it. Read page2. This little structure is there to protect you from danger and potential threats and it also helps us learn to recognise potential dangers in double quick time. No conscious thought is involved with this very efficient response but it has a tendency to over react. It also has direct links to our experience of good things and the creation of memories so it does have a very positive side too. Our little helper has some neat tricks, to protect us it turns on the fight, flight, response when we are threatened this raises the level of adrenalin in the body making it ready to run or fight depending upon the situation. It also remembers the experience and recreates the reaction when a similar event occurs but this is a potential problem because the limbic system, where the amygdala is situated, can respond just as well to a replay of the memory as to the real event. Phobias and anxieties are formed by these reactions. The experience is stored in the subconscious and can reappear due to the least stimulation which can either be a thought or a real situation. This means that the sense of anxiety can seem to appear from nowhere and for some people can even be an ever-present feeling, as in the case of General Anxiety. Chronic anxiety is felt when it continues for long periods of time. Remember anxiety and fear feel very similar but fear comes from an immediate threat, anxiety stems from thinking about a threat and feeling as though it is real. Such continuous feelings require help. How do you know you have an Anxiety Problem? Fear happens as a result of facing danger, anxiety happens as we imagine “What if”………..
All anxieties have elements that happen outside of control. If you suffer from anxiety other people may think you are acting stupidly or are odd in some way, even mad. You tend to know the behaviour is irrational. It can make you very unhappy. Some anxieties make you feel distanced (dissociated) from external experience. You focus inside and do not fully engage in the outside world. It happens in your mind, both consciously and below consciousness. You avoid places and situations where those panicky feelings could occur. This helps to reinforce the anxiety rather than give you relief from it. All these and more are possible. In fact many of you, as I did, will have been to see the doctor or visit the emergency unit at the local hospital. The physical symptoms can overwhelm you and be very frightening. The sense of distress can be very strong. When the doctor finds nothing physically wrong with you it can be even more frustrating and problematic. Your mind is wondering what on Earth is wrong and the fears can grow. First seek qualified help in order to rule out other possible illnesses, see your GP. Some form of treatment may well be suggested it could be CBT or medication or another form of therapy. Sometimes there is a long waiting list for talking therapies due to the shortage of qualified practitioners. 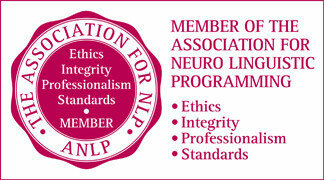 The author of this newsletter, Ian Bracegirdle, is a qualified practitioner of Neuro Linguistic Programming (NLP). He has been helping people to learn how to overcome and deal with their feelings for nearly two decades. He uses a combination of processes that teach an understanding of what is happening mentally and physically, consciously and subconsciously. Through understanding, the fears of the feelings generated by anxiety are lowered, from this basis, new behaviours can begin to be put to good use as anxiety levels drop. Relaxation training is an essential part of the process, new breathing patterns are taught as well. Diet, sleep, exercise and stress reduction are also included, Accelerated learning techniques are integrated with all the exercises to increase the depth of understanding and the retention of the information. All the aspects combine to help you to continue using the new ways of running your mind and life into the future. Ian Bracegirdle BA Master Practitioner of NLP lives locally and can be contacted now on 01535 692207 Phone now for an introductory consultation and more details. Visit www.anxiety-help-uk.com for more information and help.